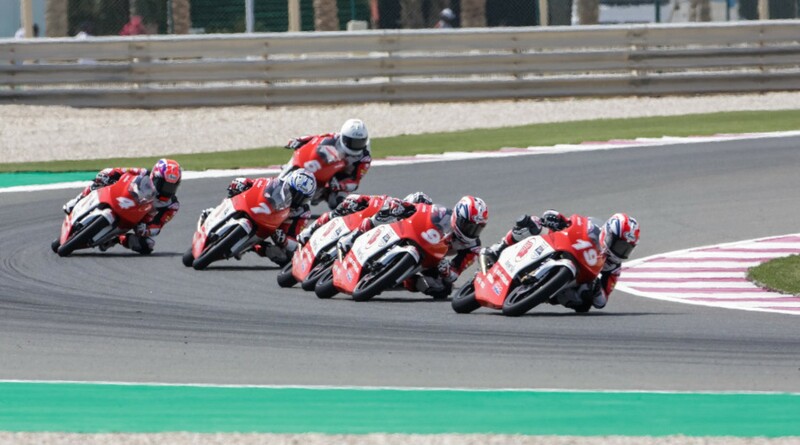 The season opener for the Idemitsu Asia Talent Cup took Qatar by storm, with two incredible but very different races. In the first, it was a classic desert duel to the line between Japanese rider Haruki Noguchi and Indonesian newcomer Mario Aji, won by Noguchi, before a battle royal at the front on Sunday saw Bill van Eerde take the first ever Australian win in the series. Buriram is a few hours north east of Thai metropolis Bangkok, and the region bears the same name. One of the newest venues in world motorsport, the track is 4.554km long, with seven right- and five left-handers. It will be an important weekend for the early leaders in the Championship, headed by Noguchi, and even more so for the Thai riders on the grid as they ready themselves for their first home round of the season. Later there is another, alongside MotoGP™, but this is their first chance for glory on home turf. The battle at the front is sure to be another incredible showdown, with Noguchi holding the best hand as we put another 50 points in play – but some serious competition if he wants to keep that advantage. Race 1 gets underway on Saturday at 12:30 local time (GMT +7), before Race 2 gears up from 13:00 on Sunday.